As all parents know, or figure out, raising children isn’t just about feeding, changing diapers, sleepless nights, hemorrhaging bank accounts, or general chaos. It’s about raising them to be safe, kind, respectful, and productive human beings. The word “discipline” literally has its roots in the Latin word disciplinare, to teach or train. Parents need to teach their children good behavior; it doesn’t just happen. And it is incredibly hard work, especially because when children act badly, it can get on a parent’s last nerve and trigger an angry response, like yelling or spanking. According to a policy statement (Effective Discipline to Raise Healthy Children) recently released by the American Academy of Pediatrics, “aversive” discipline techniques like yelling and spanking are a really bad idea. Not only do studies show that they don’t work that well, they can have long-term negative effects. 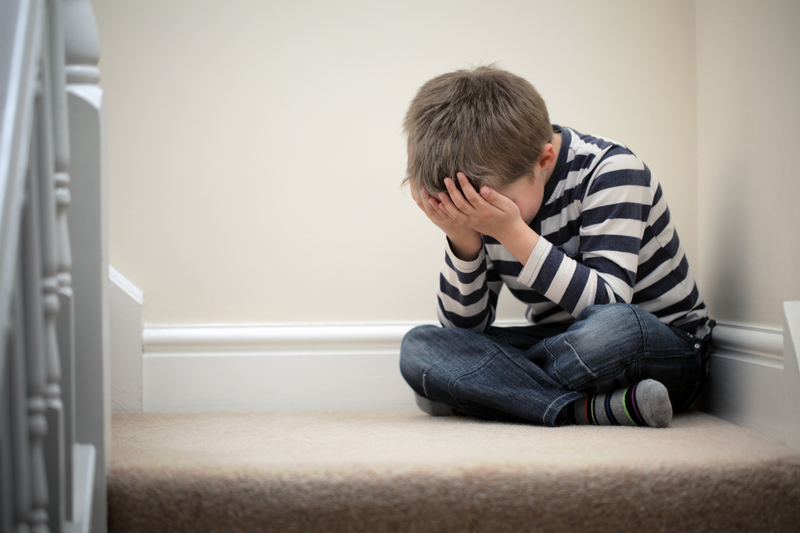 Children who are spanked have a higher risk of aggressive behavior (which makes some sense, as spanking teaches children that in some circumstances hitting is okay), mental health problems, intimate partner violence, and substance abuse. Although some of this is confounded by the fact that parents with mental health problems are more likely to spank, and having a parent with mental health problems puts kids at risk for all sorts of problems, studies show that corporal punishment like spanking is an independent risk factor for problems down the road. The same goes for harsh verbal discipline. Just about every parent yells, I think. But when it’s consistently used as discipline, it leads to mental health and behavioral problems for children. Also, as with spanking, it hurts the relationship with the child. Think about it: how does it feel for a child when the person they love and need most in the world hits them or says bad things to and about them? That doesn’t mean that every child who gets spanked or yelled at has problems for the rest of their lives, as many a well-adjusted, happy adult who was spanked or yelled at as a child will attest. But why take the risk, when there are better ways to discipline? Have realistic expectations. Babies are going to cry, toddlers are going to get into things they shouldn’t, school-age kids sometimes lie to avoid trouble, and teenagers — well, they do all sorts of things as they assert their independence. Not that you have to ignore or condone these behaviors (well, you might have to just deal with a baby crying, that’s not misbehaving), but it’s important to understand the stage your child is going through as you discipline. At each checkup with your pediatrician, talk about what to expect next in your child’s development. Be consistent. If something isn’t allowed, it’s not allowed. If you give in sometimes out of sheer exhaustion or because you weren’t super committed to that rule, kids will pick up on that immediately. Which means that you need to choose your rules carefully (meaning: pick your battles). Have predictable and clear consequences for breaking rules. Giving kids a heads-up is helpful (“I am going to count to three, and I need that to stop or we will have a consequence”). The consequence should be something they don’t like — sending them to their room where they play with toys may not do the trick. “Time-out” is one option, where you put the child in a boring place for a minute for each year of age, and don’t interact with them. You can also take toys or privileges away. Reinforce good behavior. Say things like, “I love it when you…” or “That was so nice that you did that!” or “Because you behaved so well today, let’s read an extra story tonight.” Children like praise, and may be more likely to behave well when they see that it’s worth their while. Be mindful of your own needs and reactions. Parenthood is hard. Sometimes parents need a time-out themselves. If you feel yourself getting really upset, make sure your child is somewhere safe and then take some time to calm down. It’s normal to struggle with discipline — every parent does, at some point. So ask for help whenever you need it. Your pediatrician can be a resource, as can family, friends, and behavioral health clinicians. It takes a village to raise a child; everybody needs help sometimes.